Our plastic pallets are famous for their variable sizes and impressive durability. Workers can load the goods quickly with a fork lift and a plastic pallets in operations. Also, our plastic pallets are able to move easily when goods loaded and can successfully afford heavy duty. Besides, they have the advantage of water and mildew resistance; Hence, there would be no problem for long term usage and storage in the warehouse. As an ISO9001:2000-certified company, the quality of our plastic pallets is guaranteed internationally. For industrial requirements in bulk quantity, you can just get the great ones in cheap cost here. Yet decide where to get the best plastic pallets? Contact Danny is your best solution. 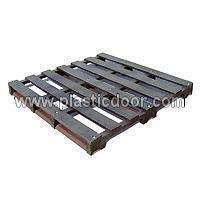 We provide plastic pallets in both high quality and competitive price. Weather enduring; anti-decay ;toxic free. Water rust and mildew/moth resistant.